Four Seasons at Mirage in Barnegat is a gated K. Hovnanian community that offers luxurious living in Ocean County, New Jersey. This active adult community features over 1,200 single-family homes and a fabulous clubhouse with a large variety of indoor and outdoor amenities. This communtiy is age restricted to adults 55 or better, but twenty percent can buy homes at age 50 until that quota is filled. Residents are conveniently located 1.5 miles from Garden State Parkway and close to shopping, historic sites, and other desirable attractions. Active retirees will enjoy the resort-style lifestyle among the scenic setting of Barnegat's natural beauty. This is a very active community with lots of interest groups and a full-time activities director. The beautifully appointed 23,000 square-foot clubhouse has a large variety of amenities to keep active adults fit and entertained. It houses a large fitness center with spa and sauna, as well as an indoor pool complete with wheelchair lift. There is plenty of space for socializing within the clubhouse. There are five different activity rooms, including a ballroom where many singers, dancers, and comedians have appeared. For those who like getting creative with tools, there is a huge woodworking shop with every saw and tool imaginable. There is also a well-stocked library where it is easy to find a favorite book or two. Construction began in the late 1990s and the community was completed in 2007 with just over 1,200 homes. Residences feature open floor plans designed to offer between 1,350 and 3,448 square feet of living space. Pre-owned resale homes may be ranch style or two-story houses with two or three bedrooms, two to three bathrooms, and one or two-car garages. Some homes come with lofts, sunrooms, or basements. Upgrades include hardwood floors, granite counter tops, upgraded appliances, and upgraded lots with some of the homesites backing up to woods are available as well. Residents enjoy a luxurious and relaxing lifestyle in a very active community with many social opportunities. In addition to all the amenities and the clubhouse, there are many social clubs to meet nearly any interest. Some of the established interest groups are line dancing, golf, Mah Jongg, poker, Mirage players theater group, book club, bowling, bridge, computer, billiards, quilters, tennis, and travel club, but there are many more to choose from. A full-time activities director is on-hand to assist residents in finding the perfect activities to meet their desired level of involvement. Four Seasons at Mirage is located in Barnegat, New Jersey in desired Ocean County. Barnegat is a charming historical town with many antique shops, and a boardwalk for fishing and crabbing. It offers easy access to beaches and marinas with boat ramps. Nature and bird lovers are sure to enjoy visiting the Edwin B. Forsythe National Wildlife Refuge. Tuckerton Seaport is 15 minutes away from Four Seasons at Mirage and the Barnegat Lighthouse a mere half hour. The closest Long Island beaches can be reached within twelve minutes and a half hour drive will take residents to vibrant Atlantic City. For great day trips, Philadelphia and New York make great destinations with both within 90 minutes. 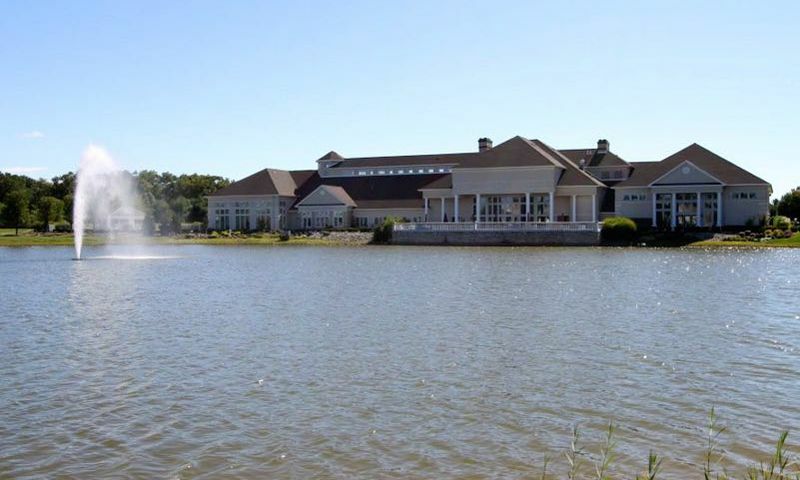 Four Seasons at Mirage is the ideal 55+ active adult community in southern New Jersey. There are plenty of activities available in Four Seasons at Mirage. Here is a sample of some of the clubs, activities and classes offered here. Residences feature open floor plans designed to offer between 1,350 and 3,448 square feet of living space. Pre-owned resale homes may be ranch style or two-story houses with two or three bedrooms, two to three bathrooms, and one to two-car garages. Some homes come with lofts, sunrooms, or basements. Upgrades include hardwood floors, granite counter tops, upgraded appliances, and upgraded lots with some of the homesites backing up to woods are available as well. I absolutely hate it here. It is very clicky and people are not friendly. Whenever I stop by the clubhouse it’s slways the same people. If you’re not in the in crowd forget about joining a club. Management is horrendous. They are as nasty as they come. The trustees have tunnel vision and those running for the board are just looking for some sort of authority. I wouldn’t recommend this place to my worst enemy. It’s like turning back the clocks to high school. We moved to the shore to be by our Grand Kids. My wife and I have been at Mirage for over six months now and we are delighted with everything. The things of note, to me are the friendly people, well run facilities and huge selection of things to do. There are "meet and greet" socials every week, band nights, football Sundays and lots of events where you can just show up. A smile and a Hello will get you wherever you want to go here. Relax and enjoy.... they just celebrated there 20th year, but the place is kept as good as new! For me, it's bocce (every day! ), hiking and platform tennis. For you it could be whatever you like to do. Join lots of things or just enjoy the beautiful surroundings. Barnegat is also a little bit quieter than the rush that is Brick and Toms River. But shopping is only a few minutes away when you want it. The Costco here is almost empty when I go. I couldn't be more pleased with my decision to come here. Oh, and I can even find some time for the Grand Kids. Love it! Love It! Love it! My husband and I moved here from Sussex County, big change for us. I wondered what retired life would be like? What would I do with my time? OMG, not enough hours in the day to do all that is offered. My neighbors are delightful. Pride is seen in all the homes. My husband and I agree, this is the best thing we have ever done for ourselves. PS Research shows that "community" living adds years to peoples lives. As seniors it is so important to stay active and connected. we couldn't feel better about our choice. We've lived here about 5 years now and absolutely love it. For the person who said it's too busy here, that should have been pretty obvious before buying a home! Yes, it's busy and that's what we love. There is always something going on and you can get involved if you want or stay home if you feel like it. Barnegat is a fantastic town close to the coastal beaches, good shopping and great food. We have met alot of great people here and enjoy being social. We love all the activities happening here and having the time to spend with our friends. We're both active in bocce and line dance, I took up quilting and painting too. We exercise a few times a week and feel better than ever! Moved here two yrs now and have not been able to formulate a real opinion on the area. It is enormous, over 1000 homes, have not been able to swim in the pools as there always filled to the brim wit people. The clubhouse is big and has every amenity you would need but there are alway waiting lines to use any of them. I cant say it's the friendly-est place either, we have not talked to many people and it seems very "clicky". Are house is on the market as so many of there are and expect to leave in the spring 2013 if some one buys, at this point I'll take anything to get out of this zoo. back to Forked River for us, very disappointing. Way to big ! It's like Disney world here. 55places.com is not affiliated with the developer(s) or homeowners association of Four Seasons at Mirage. The information you submit is distributed to a 55places.com Partner Agent, who is a licensed real estate agent. The information regarding Four Seasons at Mirage has not been verified or approved by the developer or homeowners association. Please verify all information prior to purchasing. 55places.com is not responsible for any errors regarding the information displayed on this website.